HULFT for financial data management brings disparate legacy systems into a single infrastructure, with databases and applications connected quickly and simply whether on-premise or in the cloud. When faced with new challenges, businesses must adapt quickly to ensure growth. The finance industry of today is dealing with increasing volumes of data that demand rapid transfer and processing. At the same time, data privacy reforms are pushing financial enterprises to expand their security and transparency. And all of this is subject to the non-stop world of mobile banking, where real-time data is king. To tick all these boxes, it is crucial for businesses to find the right secure financial management software. Influential Software is proud to be UK partners of HULFT: the business integration solution that has won major clients across 43 countries. Join tens of thousands of businesses who have seen the results across the industry. The HULFT Integrate and HULFT Director suite is flexible enough to function as part of financial data management and insurance management software. With its easily scalable architecture, your business will not have to make further investments. Your customers demand speed on the go, and latency is not an option. The HULFT Integrate solution brings disparate legacy systems into a single, centralised infrastructure. Now your database and application information can be connected quickly and simply. Whether on-premise or in the cloud, you can scale that infrastructure to suit your growing needs. It can be a challenge to maintain speed while complying with the heavy regulations of the financial industry. HULFT empowers businesses to attain the speed and agility to meet user expectations while complying with the regulatory framework. Make work pay with data governance solutions from HULFT. Data is no use if it is inaccessible. 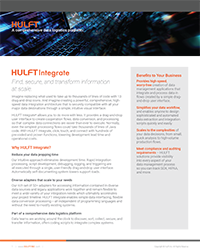 HULFT’s integration solutions make all your data visible in one place. An intuitive management system lends itself to quick insights, without lines of time-consuming code. 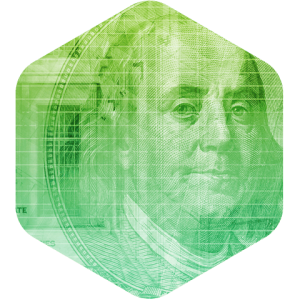 Benefiting from the latest encryption techniques, HULFT’s financial management software ensures strict compliance with data protection regulations. 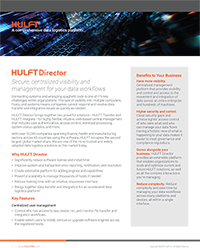 As these rules are changing rapidly, businesses need a solution with tracking and audit capabilities that will protect now and into the future.